If you’re planning home renovations, consider these five home upgrades that will improve your life. Because you run at a hectic pace to provide for your family, you deserve to add a few conveniences to your life! While some renovations improve beauty in your home, others provide increased functionality. Both are great! However, adding modern conveniences and functionality in the home will pay off in the reward of extra time in the long run. This will give you extra time to spend with your family and entertain your friends. And isn’t that what we all want in the long run? 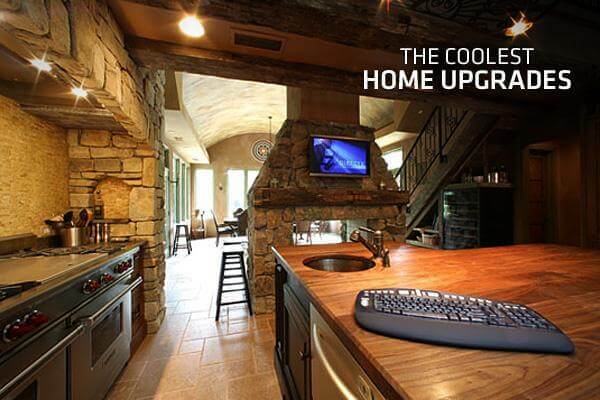 Join me as we look at some house upgrades that will improve your lifestyle. Let’s face it. We are relying on electrical appliances and devices more and more. 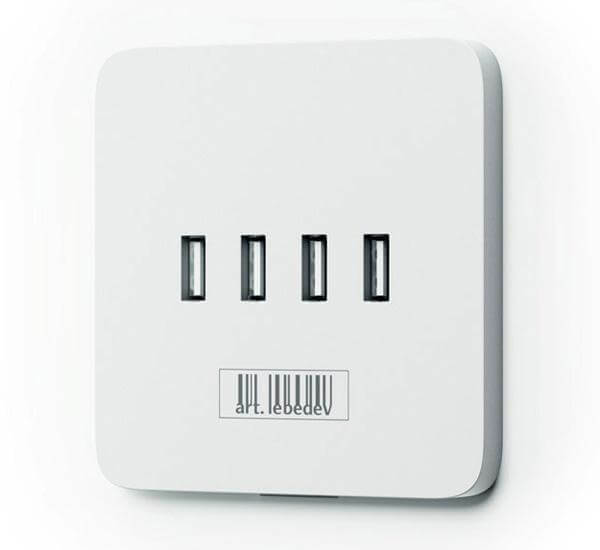 With wall electrical outlets being prime space in your home, consider adding USB outlets. This will allow you to charge tablets, phones, and iPods without needing to unplug other electronics. This is especially useful in the kitchen. My daughter loves to unplug the microwave to plug in her iPod. Naturally, I forget to check and about once a week think my microwave has died until I remember to check the plug. Teenagers. Enough said! Surround sound used to be ugly. When surround sound technology first emerged, my husband HAD TO HAVE IT. Therefore, we had large speakers mounted in all corners of our small living room and a little speaker next to the tv. Wires were “hidden” at the top of the crown molding. Of course, I could still see them. Despite my hubby’s promise to “make it look nice” it was a hot mess! Bluetooth technology improves the sound quality tenfold. In addition, the speakers are small but powerful. You can enjoy the surround sound experience without looking at monstrous speakers and miles of wires and cords. This is a great addition to your living room or den. If you gather to watch tv and listen to music, this is a fantastic upgrade. It makes a fun environment where you can spend quality time entertaining. Admittedly, this is not the most exciting technology you can add to your home. You will, however, be excited at the money you save every month on your energy bill. 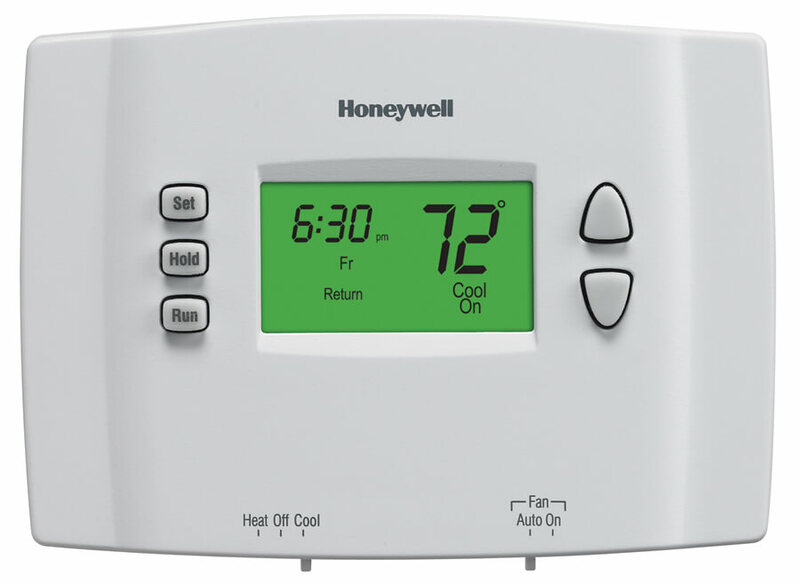 If you have an old thermostat, you are running your heating or air conditioning at a constant temperature all the time. Even when you’re not home. After all, you don’t want to come home to a house that’s not a comfortable temperature for your family. Enter the programmable thermostat. Simply set it for peak and off times. For example, when it’s cold in the winter, you will set it for a few degrees cooler while you are away at work and a higher temperature while you are home. Flip that process for summer air conditioning. We added this upgrade in my home and immediately began saving on our energy bill. 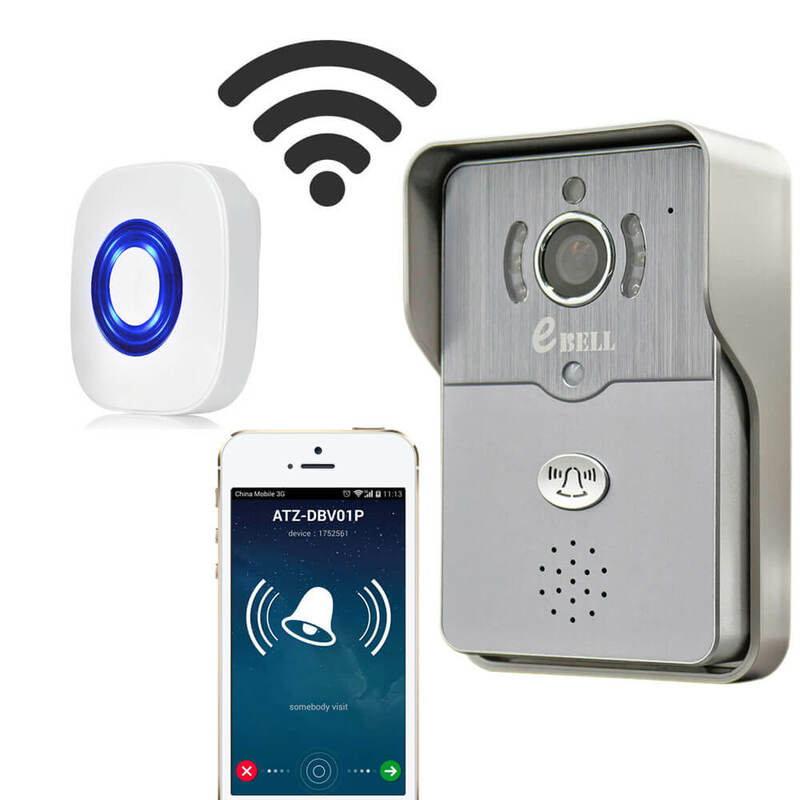 The wi-fi doorbell is an innovative way to keep an eye on your home while you’re gone. It’s a genius security measure that will help you feel safe. This doorbell connects to your home’s wi-fi. When someone rings the doorbell, your smartphone is alerted. You know instantly that someone is at your door. Better yet, you can join by video and SEE who is at your door. You can then speak to the visitor through a little speaker in the unit. This is great because it gives the illusion that you are home. In addition, crooks don’t like to be seen! This technology sends them running from your doorstep. I grew up in the Great Lakes region in Erie, PA. Winters there are brutal…cold, long, and dismal. I remember cutting on the water for my morning shower and waiting. On cold mornings, it felt like an eternity as I was waiting for my water to come up from the freezing cold basement, through the pipes, and into the shower. With a tankless water heater, those days are gone! 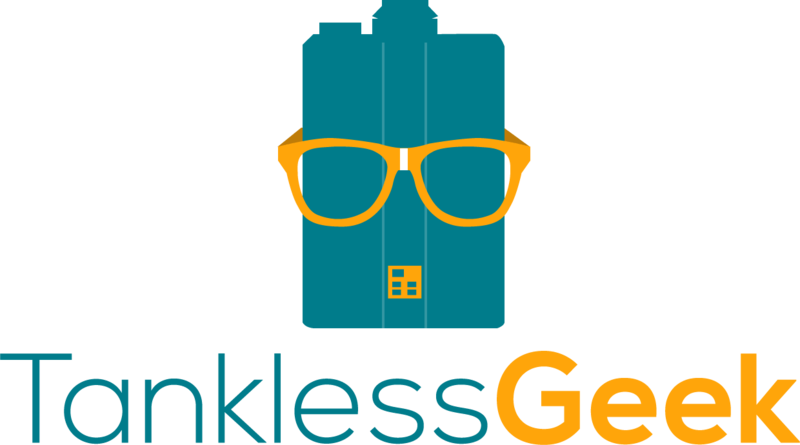 Tankless water heaters provide hot water on demand. 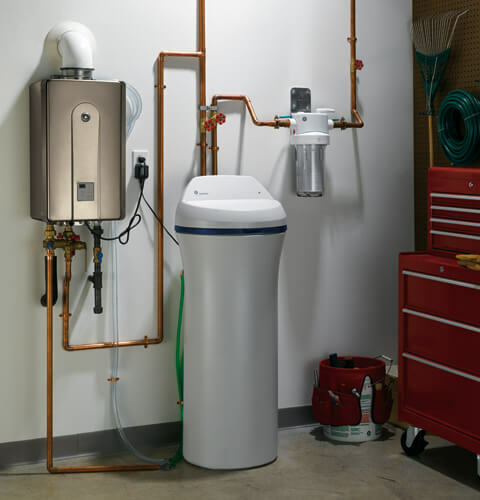 Installing a tankless water heater will cut down on wasted time, wasted money, and wasted space. If you have a tank system water heater, you waste every time you wait for the water to warm up. You waste time waiting for water to heat when you want to shower, wash your hands, or wash dishes. You waste money on the gallons of water you lose as you let the cold water run down the drain. Finally, you waste valuable space — a tankless water heater is a tiny unit that will free up space where your hot water tank sits. If you’re in a smaller home, every makes a huge difference.